Carlo is always fishing, at this moment Octopus is abundant and he catches a lot. 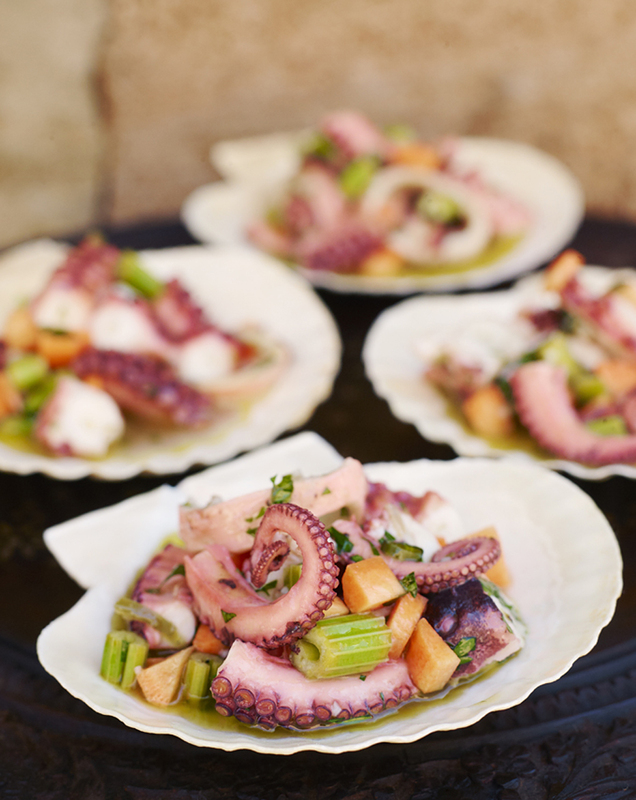 Antipasto served at the bar under the almond trees you will find this delicious octopus salad. Place the Extra Virgin Olive Oil into a large bowl and add the following. Minced and pasted garlic with sea salt, finely chop the green chili, lemon minced zest of lemon and salt. I a large sauce pan filled 3/4 in volume with water. Cover with a lid and turn on high heat and bring to a boil. Rinse the Octopus and if you want, clean out the head and eyes. When the water is boiling, insert a fork in your head and dip the Octopus in and out of the water allowing the tentacles to curl upward. When you see this has occurred emerge the Octopus into the water and let simmer at medium heat for 25-30 minutes. The Octopus texture is chewy, so if you boil it for a few minutes too long it wouldn’t make a difference. Let octopus cool and cut into bite sized pieces. 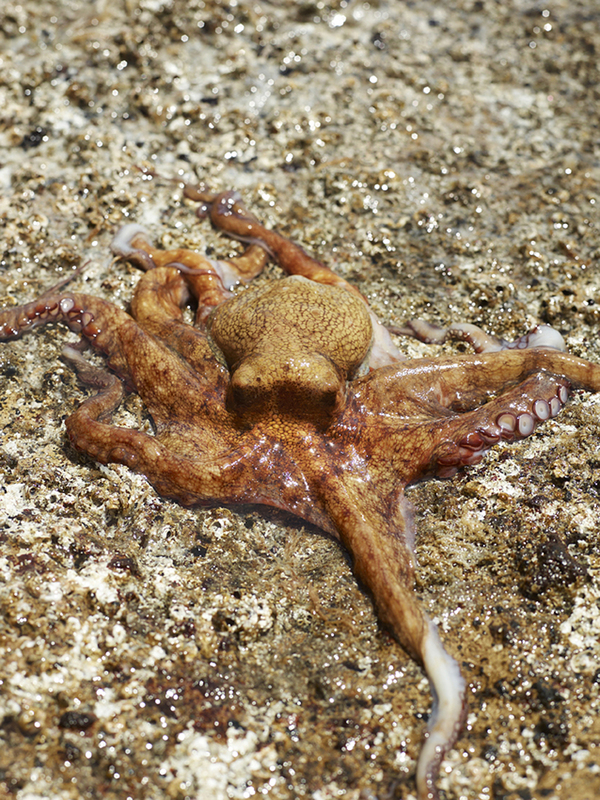 Mix the Octopus into the bowl of marinade, taste and adjust if you need more salt. Let the salad to stand and marinate for a few hours but if you don’t have this time, it will becomes delicious nonetheless. Just before serving, chopped the parsley and mix it in. This entry was posted in Appetizer Recipes and tagged Almond Bar, Anna Huerta, antipasto, Frutti di Mare, http://www.annahuerta.com/, insalata di polpo, lemon, octopus, octopus salad, olive oil, polpo, seafood, Sicily, summer, summer food on July 28, 2013 by Anna Huerta.